Muñoz. The first album sold 1.000.000 of units. These are the brothers Estopa. 2004. "¿La calle es tuya?" 2011. "Estopa 2.0, el renacer"
2015. "Rumba a lo desconocido"
The Estopa made Rumba catalana and Rock. And these is my favorite song of Estopa "Como Camarón". Francisco Sánchez Gómez was born the 21st December,1947 in Cádiz,Spain and he died the 25th of February 2014. He was a composer and guitar player. By his father and his big brother he learnt his firsts sturms and at the age of six he started to learnt "professionally" to play the guitar. With twelve years he started to act with his brother Pepe and with fourteen he obtained his first award at the International Competition of "Arte Flamenco de Jerez de la Frontera", that's when he started his international degree. In 1967 he throw his first work by himself "La fabulosa guitarra de Paco de Lucía". 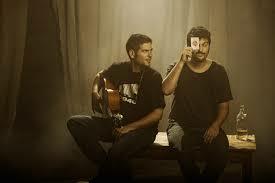 A little bit later he started to work with Camarón,they became to a be an artistic couple. Here´s the video from Paco de Lucía called "Como el Agua"
If you want to know some more information about Paco de Lucía click here. Niña pastori, stage name from Maria Rosa Garcia Garcia she was born on january 15, 1978, She had two children with Julio Jimenez Borja , she is a flamenco singer. Four years used to accompany her mother, who sang from girl and was known as 'Pastori de la Isla' in the proceedings that led to San Fernando. 'Pastora' le enseñó el arte flamenco y se convirtió así en la referencia fundamental para que la Niña se hiciera cantaora. A los ocho años se dio cuenta de que quería seguir los pasos de su madre y comenzó a cantar. with just twelve, the singer Camaron de la Isla introduced in the Teatro de Cádiz Andalucía, was so fascinated that in the middle of a concert asked him to serve with him. At seventeen years she are presented the opportunity to record their first album, though not strictly flamenco. On the insistence of his mother Mary was going to Madrid to sing songs to the Parrala. There he was discovered by Alejandro Sanz, who was delighted and decided to go to San Fernando. made eight albums published by the company Sony Music. Rosario Flores also known as Rosario Gonzalez Flores is a Spanish singer, composer and actress of gyspsy origin. In 2012 she was part of the judges of ´La Voz´. She was born the 4th November 1963 and her music style is pop, rock, rumba and flamenco. In 1984, with little more than 20 years, she recorded her first discographic work, ´Vuela De Noche´. The most beautiful terms of this work were signed by her brother. 1999: Jugar a la locura. The flamenco highlights in Andalucía, Extremadura and Murcia. It includes singing,dance and guitar playing. They are a lot of Palos which are different forms of dance it. My favorite Palo is las alegrias because I dance it. Here you can see a video of alegrias. But there are many more for example: bulerias, fandangos, malagueñas, sevillanas and tangos. A famous flamenco singer is India Martinez she was born in Cordoba, Andalucia.She has been singing since 2003. He has sung with artists such as David Bisbal, Pablo Alborán and Enrique Iglesias. The Flamenco is a music style and dance originated in Andalucia, the result of a flamenco voice, accompanied by a flamenco guitar and the flamenco dance. 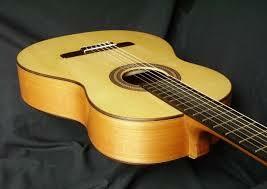 The traditional Spanish guitar are made of Spanish cypress and spruce woods, there are differences between flamenco and classic guitar for example; the different disposition of the harmonics bars inside the guitar, the dimensions of the rings or the most important that each one have a different type of sound. 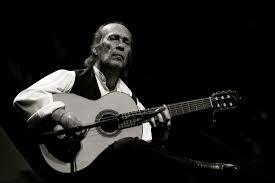 The most important guitarist in the world was Paco de Lucia that died the 25th February of 2014. Since he was a kid he practiced many hours a day until he became a genius and Doctor Honoris Causa, and Principe de Asturias winner. Flamenco became an universal art because of Paco de Lucia. Nowdays many people study and dance flamenco all around the world. Malu was born in 15th March of 1982 in Madrid between singers and artists,she became a singer too. 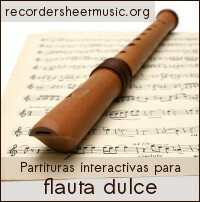 She is the daughter of singer and niece Paco De Lucia. She begain her career at the age of 15. She has 4 platinum discs. She began recording his first album "Aprendiz" in the year 1998. In February 2012 she was selected as one of the four coaches of "La Voz" programme. Here are more information about Malu click here.